On this day 45 years ago, the world mourned the loss of Walt Disney. We look back on the last photo of Walt at Disneyland park and how the image continues to live on at the Disneyland Resort. On this day 45 years ago, the world mourned the loss of one of the 20th Century’s greatest visionaries and most beloved figures, Walt Disney. Just a couple months earlier, in the fall of 1966, Walt had publicity photos taken at Disneyland park. Joined by Mickey Mouse at Sleeping Beauty Castle in the Disneyland Fire Department “Engine No. 1,” Walt was photographed by my former colleague, Disneyland Chief Photographer, Renie Bardeau, who retired in 1998. That day, Renie took what would be the final photographs of Walt Disney at Disneyland park. 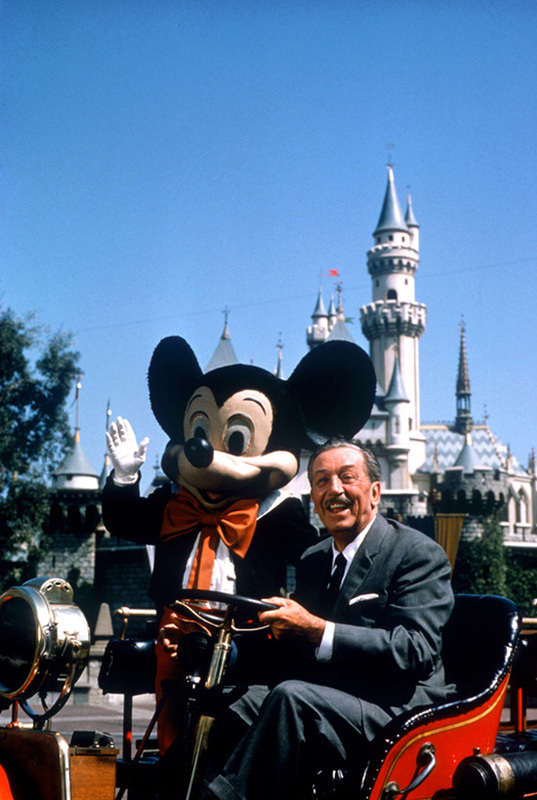 Over time, the photo has become an iconic image of Walt, but few people know that it was the last time we saw him at his beloved Disneyland.